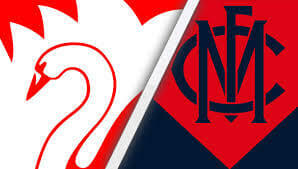 Thursday night football will be played in Sydney with the Swans out to do battle against the win-less Demons. The Swans were desperately needing a win last week after successive losses to the Western Bulldogs and Adelaide Crows. They accounted for Carlton by 19-points, gaining four vital premiership points in the process. It was hardly a dominant win, but a win nonetheless. Carlton wasted several opportunities which allowed Sydney to hold a 31-point lead in the third term before the Blues clawed back to just 13 points in the final term. Isaac Heeney sealed the win for the Swans with a goal late in the last quarter. The Swans will be without Will Hayward who suffered a broken jaw along with stalwart Jarrad McVeigh who succumbed to a quad injury. Melbourne appear to be living a real life nightmare having started the season with three horror losses. Last week against Essendon, the Dees trailed by 21-points at quarter time but managed to turn the deficit into a lead at half time by seven points. Melbourne were blown out of the game in the third quarter when Essendon piled on eight unanswered goals. The Bombers were too strong in the end, victors by 18 points. Sydney got their first win of the season against Carlton and it was much needed. They will be looking to build on that momentum in a game they are expected to win. Isaac Heeney, Zak Jones, Luke Parker and Josh Kennedy have been finding plenty of the footy for the Swans and a will look to captialise on a struggling Demon’s midfield. Melbourne are staring down the barrel of four straight losses which is far from ideal considering they were spruiked as premiership contenders. Nathan Jones, Max Gawn, Christian Petracca and Jack Viney all need to step up. They led the way in 2018 but haven’t had the same impact after the first three games. Tipping Sydney to win, think their midfield is too physical and classy on the small SCG ground. Sydney – Captain Selection – Jake Lloyd – Has already provided Supercoach fans with three scores above 120 points. Against the struggling Demon’s he looks set for another big round and should be given serious consideration to captaining your side. Demons – Captain Selection – Max Gawn – If you don’t have Jake Lloyd in your side, Max Gawn is your man. His record against the Swans isn’t outstanding averaging only 91.5 against the Swans in four games, but looks a good chance to hit his expected projected score. Josh P. Kennedy has recorded 30+ disposals in six of Sydney’s last seven Thursday night matches. Each of the last five matches between Sydney and Melbourne have gone under the total match points line. Tom Papley has kicked two or more goals in each of his two previous appearances against Melbourne. TIP: Sydney to keep the Demon’s winless.